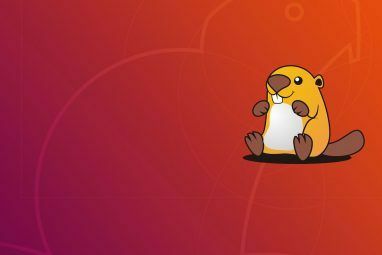 With GNOME making a surprise appearance in the Ubuntu 17.10 update, you might think that Unity’s end What Switching Back to GNOME Means for Ubuntu What Switching Back to GNOME Means for Ubuntu Canonical has announced the end of the Unity desktop. From Ubuntu 18.04, the GNOME desktop will be restored. What does this mean for Ubuntu, and its relationship with Linux users? Read More has come early. 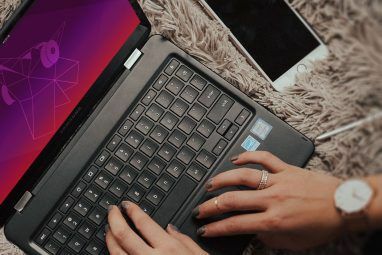 Not so: it seems that Canonical’s desktop environment is far more popular than previously thought, with several new projects launching with the aim of keeping some aspect of Unity alive. If you’re struggling to come to terms with Unity’s abrupt end, and don’t really want to sign up to the GNOME way of doing things, you’re in luck. These five projects will help you get the most from Canonical’s abandoned desktop environment for years to come! The end of Unity’s official support from Canonical has led to popular features finding their way into other environments. Dash to Dock is a great example. Designed as a macOS-style dock for GNOME desktops, this dock can be used at the foot of the screen or along the side, and is intended for easier app launching and faster switching between any open windows and desktops. Launcher Backlight — This changes the color of any apps on the dock that are currently open. It’s essentially a useful highlighting effect. Per App Expose — This replicates the Unity feature that allows you to see all open windows from a currently running app. Keep in mind that these effects are separate from the Dash to Dock project. As such, they probably won’t be merged into the main project later on. More cosmetic changes that allow GNOME users to restyle their desktop, Unity style, are available via the b00merang project. The b00merang project is a great way to introduce themes from other operating systems into your GNOME desktop. These might be from other Linux systems, or from proprietary desktops such as Windows 10, macOS, or Chrome. Ambiance for GNOME — Intended for Ubuntu users who are unhappy with the switch to GNOME. This is a Unity 7 theme. What happened to Unity 8? — Produced since Canonical announced the end of Unity, this theme reproduces the flat Unity 8 look on GNOME desktops. We expect more and more Unity-inspired themes to appear for GNOME desktops. What if you didn’t move to GNOME, but to KDE Plasma How to Enjoy the Latest KDE Plasma Releases With KDE Neon How to Enjoy the Latest KDE Plasma Releases With KDE Neon Want a pure KDE experience with updates received as quickly as possible? If so, then you really ought to consider KDE neon. Read More ? Fortunately, there is a Unity theme you can take a look at. Released before Canonical’s shocking abandonment of Unity, United Desktop can be found in the KDE Store. Before installing it, make sure you’ve backed up any custom configurations on your desktop. To install it on your system, open KDE System Settings > Workspace Theme > Look and Feel, then click Get New Looks. Wait for the list of themes to open, and select and install United. Once this has installed, reopen Look and Feel, select United, then check Use desktop layout from theme before clicking Apply. With the Unity desktop style set, you’ll then need to enable Unity Ambiance as the desktop theme, and Blender-Ambiance for the window decoration. When Ubuntu Touch finally launched in 2014, it was to some encouraging sounds. But even the release of several Android-first devices with Ubuntu Touch spins wasn’t enough to save it from Canonical’s axe. This was a shame, as the app-light approach had resulted in a usable alternative 5 Reasons to Switch to Ubuntu Phone 5 Reasons to Switch to Ubuntu Phone You're sick of Android and iOS - you want a new mobile experience, one that isn't tainted by Microsoft, or the failing BlackBerry. What you need is Ubuntu Phone! Read More to Android, iOS and Windows 10 Mobile. And like the latter, the last wave of Ubuntu Touch devices shipped with a desktop mode, Convergence. Forgot your laptop? Away from home or work? No problem. Simply connect your Ubuntu Touch smartphone over wireless HDMI How to Turn Ubuntu Phone Into a Desktop PC With Convergence How to Turn Ubuntu Phone Into a Desktop PC With Convergence Newcomer to the mobile space, Ubuntu Phone, has its own mobile-to-desktop software. If your device is compatible, and running the OTA-11 update (or later), you can turn your phone into a PC. Read More to a TV or monitor and start working! Fortunately, Ubuntu Touch has not stopped Is This the End for Ubuntu Touch? Is This the End for Ubuntu Touch? The Ubuntu Touch project is officially over, but that doesn't mean your Ubuntu phone is dead just yet. Here's what the cancellation means for you and what you should do next. Read More with the end of Unity. A trip to UBports.com reveals that the project continues, with support for existing devices. Better still, there is a renewed attempt to launch Ubuntu Touch on a trio of “Core Devices”: OnePlus One, Fairphone 2, and the 2013 variant of the Nexus 5 Google Nexus 5 Review and Giveaway Google Nexus 5 Review and Giveaway Approximately a year after Google released the Nexus 4, the company behind Android has come out with its successor -- the Nexus 5. Read More . Installation instructions are available on the website; go on, give it a go! It’s nice to see Ubuntu Touch continue. But what about Unity itself? 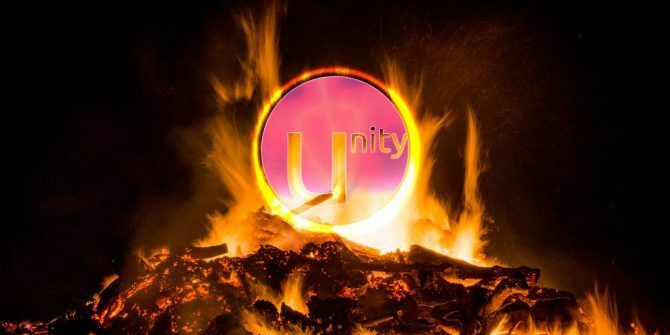 The answer can be found in the shape of the Yunit project, which aims to continue development of Unity 8. This is a full fork of Unity, and the source code can be found at GitHub [No Longer Available]. The yunit team is looking for developers to contribute, and there’s an active forum and subreddit for you to find out more. Of course, it’s early days yet. How far and long the project goes will depend on organizational structure and contributions. When Unity arrived on Ubuntu back in 2010, the desktop shell created considerable consternation. Indeed, it is often cited as the reason for Linux Mint stealing the crown of the most popular desktop Linux distribution. Over the years, however, the dislike of Unity has mellowed, with tweaks turning it from a jarring new experience into a friendlier desktop environment. Canonical’s announcement might have been a surprise, but in some ways so too is the love that has grown for Unity. Fans just won’t let it go What Ubuntu Unity Fans Can Do to Keep Your Favorite Interface What Ubuntu Unity Fans Can Do to Keep Your Favorite Interface Ubuntu's Unity interface is going away. So what's a Unity lover to do? Fortunately, the interface isn't gone forever - Unity lives on, with other ways to create a similar look and feel. Read More ! What do you think? Are you sad to see the back of Unity? Will you be trying any of the themes or contributing to yunit or UBports? Tell us in the comments. 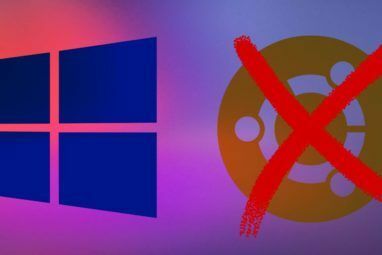 Make Linux Look Like Windows 10 With These Tips and TweaksSyncthing or Resilio Sync: How Should You Share Files on Linux? I'm excited to hear about Ubuntu Touch!